In 2016, I launched a website sharing my story. Over the past two years, I’ve traveled 40,000+ miles, working full-time all along the way and I wanted to both educate and and inspire others to embrace this alternative lifestyle. However, I’m not the only one writing about the digital nomad lifestyle. Like any marketer, I knew if I wanted to to continuously reach my audience and educate and inspire them to live an alternative lifestyle without having to pay for the website traffic, I had to get the educational website content I created to rank on the first page of Google. Google’s job is to connect you, the searcher, with the most relevant, high authoritative results possible. If your goal is to get your content ranking on the first page, then just creating quality content is not enough. You must also prove the credibility of your content to Google. One of the most effective ways of doing this is by increasing the amount of inbound links that point to your website. An inbound link is a link coming from another site to your own website. Inbound links help increase domain authority, which is a prediction of how well your website will rank on search engines. The higher your domain authority, the more credible your content will appear to search engines. 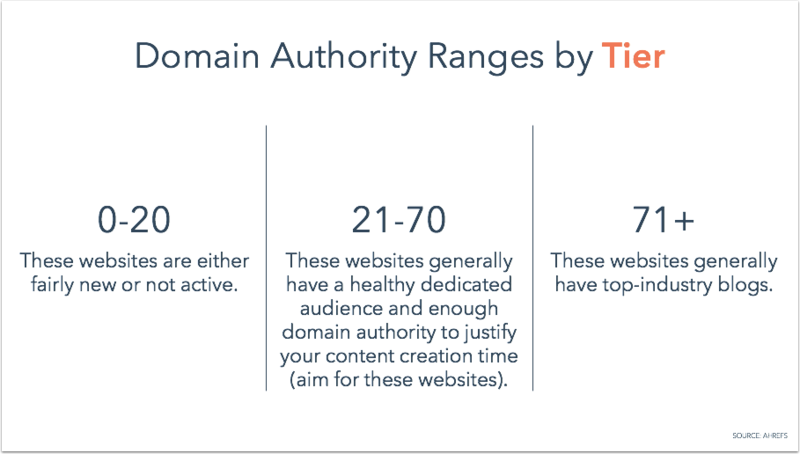 A new website = 0 domain authority. So, in order to achieve my goal of having my website rank on the first page of Google, I needed to build inbound links back to it to increase its domain authority. I did this by becoming a guest blogger. Guest blogging is an effective tactic that helps your business in more ways than one. Not only does it help you build authority as a thought leader within your industry, but also, and more importantly, it’s a powerful way to optimize your website for search when done correctly. Before moving on, let’s define what it means to guest blog. Guest blogging is writing and publishing an article on someone else’s website or blog. In 13 months, this site page received over 16,500 visits from search engines. For context, that’s a 574% year-over-year increase in traffic. If you’re looking to boost the value of your content and get it ranking on Google, then you should consider guest blogging as a powerful SEO tactic. Before getting started with guest blogging, it’s important to outline a strategy to make sure you get the most out of your efforts. Let’s review four tips you should consider when creating a guest blogging strategy for your business. 1. Repurpose and Package Your Educational Content. It takes a lot of time to create a valuable piece of educational content. An efficient way to get started with your guest blogging efforts is to first create a valuable piece of content on your own website, then repurpose and package it to provide new value and meaning for someone else. And when I say repurpose and package, I don’t mean simply copy-and-paste. Use snippets from your original content as a framework to build a new narrative for the audience at hand. 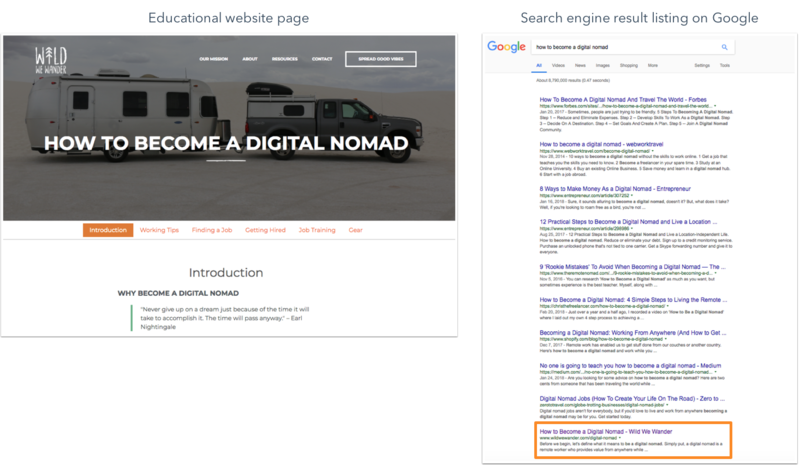 Repurposing educational content and packaging it into a guest blog series is how I was able to get one of my website page’s to rank on the first page of Google in just two months. Here’s a step-by-step approach on how I did it. To start, I created an educational website pillar page on how to become a digital nomad. 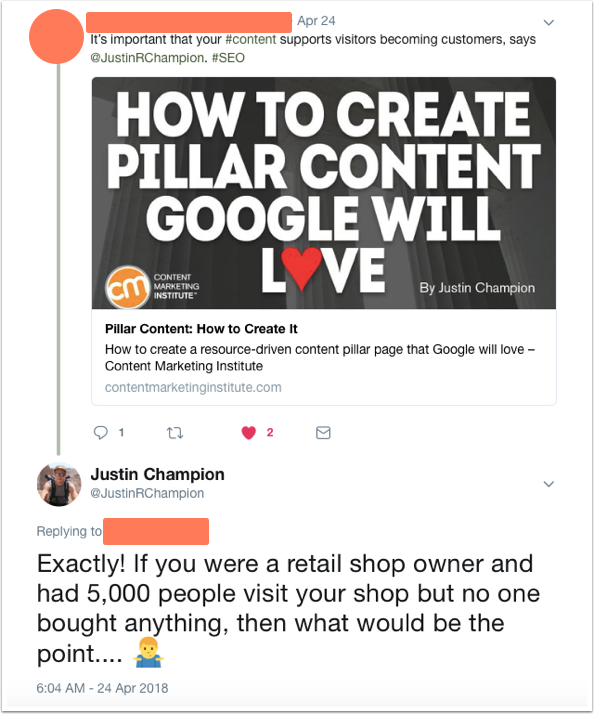 A pillar page, which is also known as a content pillar, is a website page that covers a broad topic in depth and is linked to a cluster of related content. 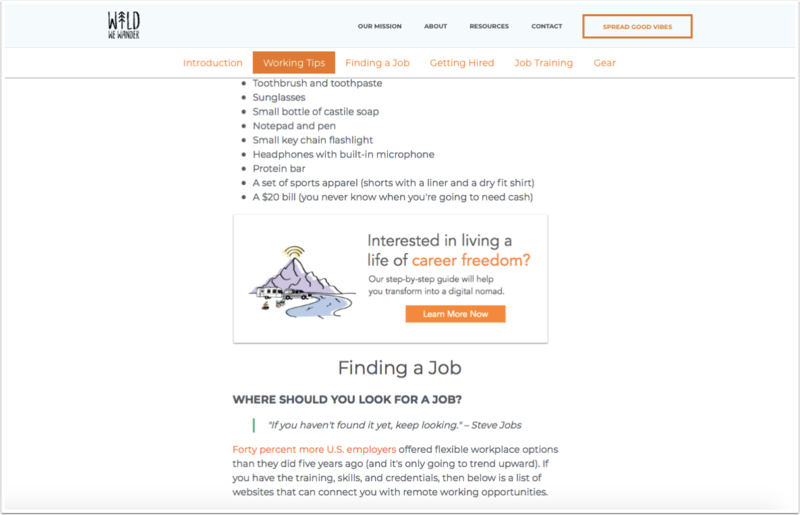 The page offers multiple sections of helpful content from job training for digital nomads to working tips for digital nomads. Each section of content has an anchor link at the top of the page, making it easy for people to navigate from one to another. Creating long-form sectioned content like this makes it that much easier to repurpose and package it in the future. Next, my wife, Ariele, and I repurposed and expanded the content from the pillar page into a practical step-by-step guide on how to live and work from the road. This way, people who enjoy the pillar page’s content and want to continue learning and start a transformation of their own have a resource to help them through their journey. 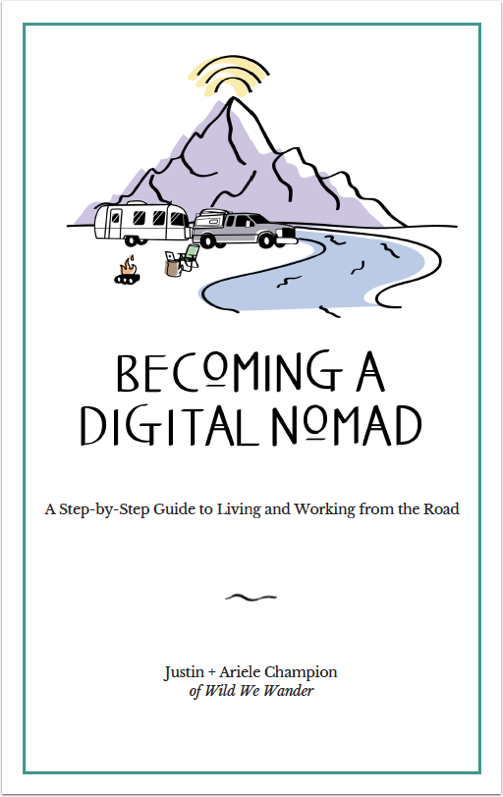 The digital nomad guide is a comprehensive resource that covers every major topic in-depth and took us about eight weeks to create. 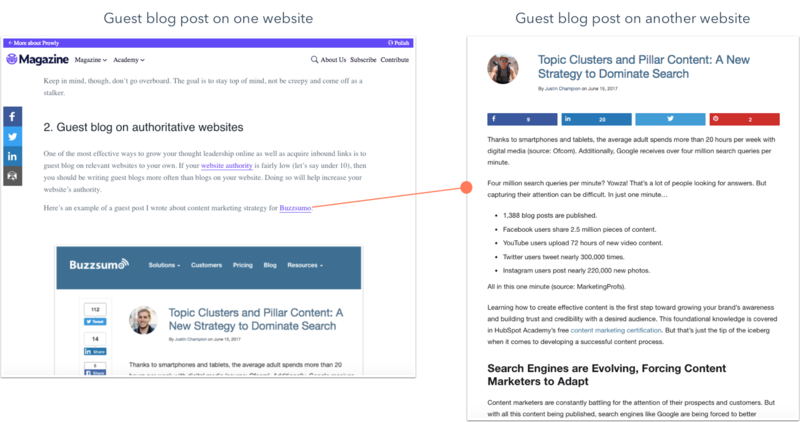 Once we finished, we knew we needed to build authority to our pillar page through guest blogging and inbound links if we wanted people to find it via Google organic search. 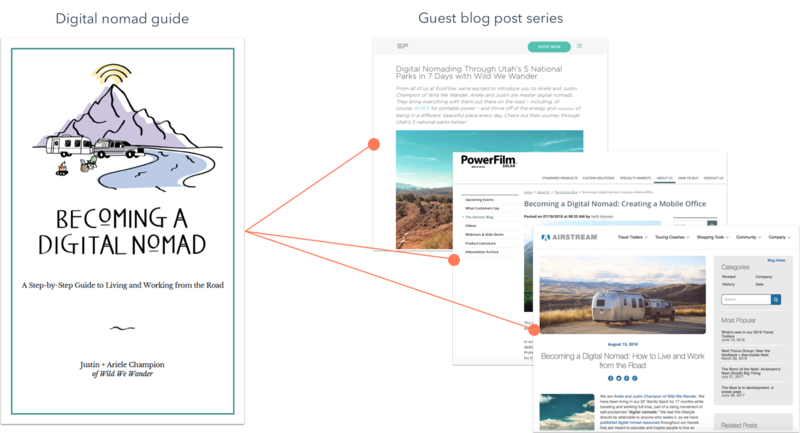 Instead of starting from scratch, we repurposed content from our guide to produce a series of guest blog posts. In fact, we were able to create three high-value guest blog posts in one week. One recommendation when doing this: Consider optimizing your guest blog posts for the keywords you want to rank for. This is a high-traffic keyword that we want to rank for on search engines. If you’re writing on websites that have higher domain authority than your own site, then it’s likely your guest blog post will initially rank higher than your website. That is, until you build the authority on your own site page. 2. Write for Websites That Have Higher Domain Authority Than You. Writing for websites with higher domain authority will ensure you’re getting the most value out of your guest blogging efforts from an SEO perspective. Let’s simplify this by splitting the domain authority ranges of sites into three tiers. Tier one, a website with a domain authority between 0 to 20. These websites are either fairly new or are not active. Inbound links from these sites won’t make that much of an SEO impact on your site, however, don’t count them out. They’re generally going to be the easiest to secure a guest blogging spot. If you do write for a site with lower domain authority, then do it strategically. For example, if the site is new and up and coming, then consider writing a guest post for them as it could pay off in the long run. Tier two, a website with a domain authority between 21 to 70. These are the websites you should be aiming for. Websites in this tier generally have a healthy dedicated audience and enough domain authority to justify your content creation time. Keep in mind, the higher the domain authority, the more writing guidelines you’ll receive and the more difficult it will be to secure a guest blog opportunity. And tier three, a website with a domain authority above 71. These websites generally have top-industry blogs. Unless you’re already well-known in your space or have a contact already established at the company, then steer clear of these sites in the near term. I’m someone who loves a challenge, but you want to set yourself up for success and these are tough eggs to crack. It’s better to work on building your authority gradually than going for all of it in one article. 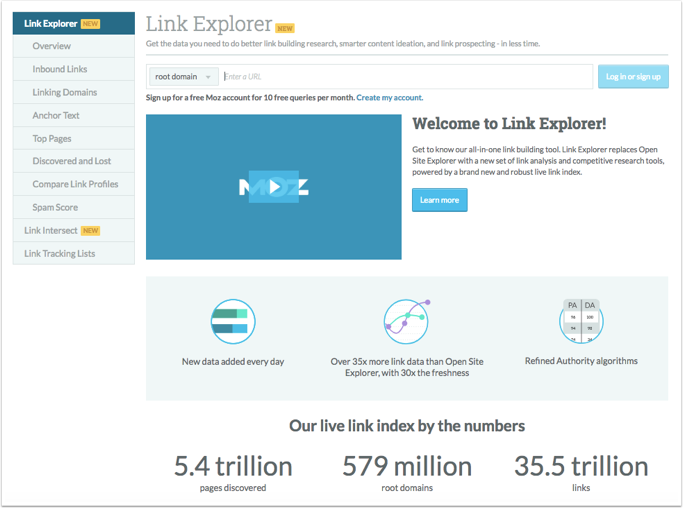 Well, you can do research with Moz’s Link Explorer. This tool will tell you the domain authority of any website you plug into it. Plus, you get 10 free queries per month. 3. Think Critically About Your Linking. 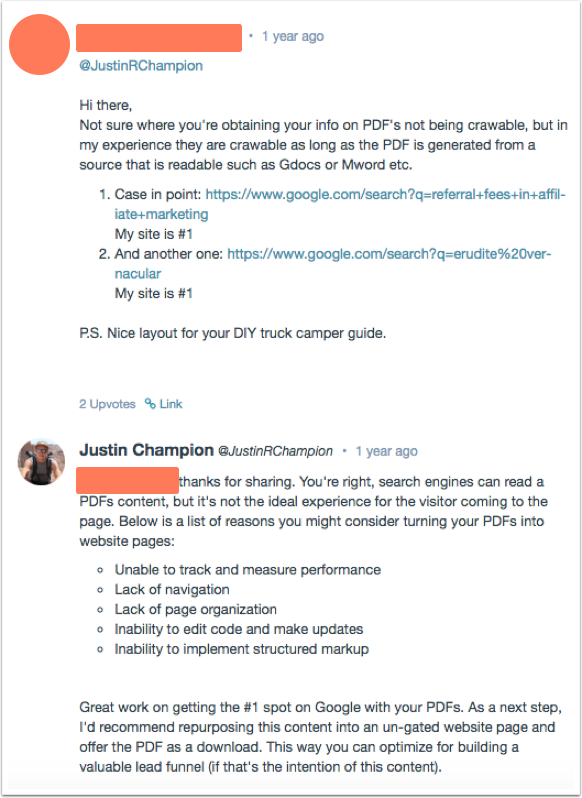 All inbound links are not created equal. You just learned how links from websites with higher domain authority matter a great deal. Well, where those links are pointing matters just as much. Here are some ways to navigate how to get the most out of the links you include in your guest-authored content. To start, link to specific pages on your website, not just the the homepage. Generally, the majority of your website’s inbound links will point to your homepage. That is unless you make an effort to build links to other pages on your website. If your goal is to get a specific pillar page or article on your website ranking in search engine results, then make an effort to link and get links to it; A page with multiple quality inbound links will rank higher on search engines than one with no links. Next, don’t link to landing pages. I understand that you might want your landing pages to rank on search engines, but using guest blogging as a way to build authority to them is not the answer. Most websites won’t link to landing pages because it doesn’t provide value to their audience. Instead, link to something like an educational pillar page that promotes the landing page you’re trying to send people to. Next, include your most valuable inbound link near the top of the page, if possible. Search engine bots crawl through a page’s content the way a human would read it – left to right and top to bottom. Links that are found near the top of the page pass more authority to the page they’re linking to. Each link thereafter will have a reduction in value. On this note, if you’re able to be descriptive in the anchor text, then do so. Anchor text is the actual text of a link to a web page. On most websites, this text is usually dark blue and underlined, or purple if you’ve visited the link in the past. 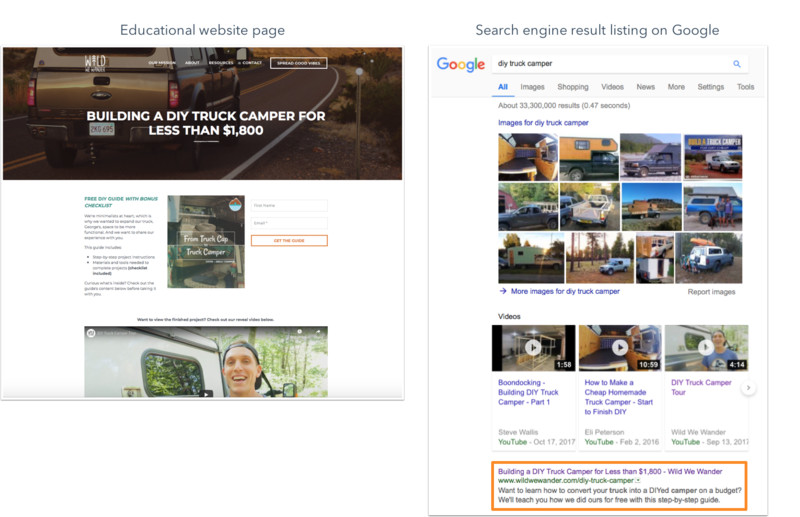 Anchor text helps search engines understand what the destination page is about; it describes what you will see if you click through. Most high-quality websites will only allow one link to your website. Keeping this in mind, make it a goal to include one high-quality link to your website per post and try your best to naturally fit it in near the top. With the rest of the links in your post, consider linking to other guest blog posts that you’ve authored on other websites when relevant. First, you can build authority to your guest blogging portfolio. This way, you’re not technically building links back to your site. Instead, you’re building links to pages that link to your pages, which will still help from an SEO perspective. And secondly, this gives you a reason to check in with those you’ve guest blogged for with an update on how you’re supporting their content with inbound links! Information like this could help strengthen the relationship with those you collaborate with as it shows them you’re invested in your content on their site. Another way to effectively use links in your post is to link to other relevant content on the website you’re writing the guest post for. This may take a little more time to do, but it’s a nice touch that your contact will appreciate. And lastly, expand your guest blogging portfolio. The first inbound link you receive from a website will be the most valuable for your site from an SEO perspective. This doesn’t mean you should be a one-and-done guest blogger for a website. However, if your guest blogging goal is to increase your website's domain authority, then it’s better to have a more diverse group of inbound links as opposed to all of them coming from one source. 4. Provide Outstanding Service to Your Guest-authored Content. You should never publish and forget your guest blogs. Once your content publishes, that’s really just the beginning of your ongoing support for it. Here are a few things to consider paying attention to. To start, engage with people in the comments. Really take the time to provide value and delight to those who have questions or comments. If a reader is going to take the time to read your post and engage with you, then you should do the same in return. This could be further explaining something you wrote about or encouraging them to reach out to you personally to learn more. Keep in mind, it’s possible you’ll get people who challenge your content. Whether they’re right or wrong, that’s not the point. Always be professional when engaging with others online. Getting defensive and lashing out won’t do you any good. You should welcome a healthy debate, as it keeps people engaging with the comments section. The more comments a blog post gets, the better—comments keep it relevant. Next, engage with people on social media. Similar to the comments section, social media is another place where you’ll want to monitor and engage with people sharing your content. Again, if a reader is going to take the time to engage with you, then you should do the same. This should be fairly easy to keep track of if people tag you in the post. In this case, you’ll get a notification and can respond accordingly. That being said, not everyone will tag you on social media when sharing your content. Instead, you can find this content by doing a search on that channel using the keywords from your post. 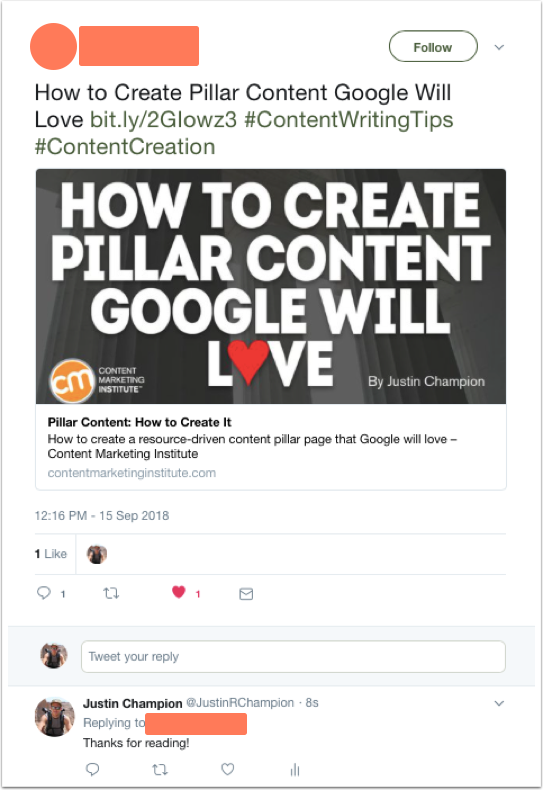 For example, I did a search on “pillar content,” a recognizable keyword from my guest post title, and found this tweet. And fifth, nurture the relationship with your contact. It can take time to source high-quality guest blog opportunities. Once you land one, do everything you can to create a strong relationship with your contact. People do business with people they know, like, trust, and value. So, make it a point to create a positive, meaningful experience for your contact. Doing so could lead to another future guest blog post, or, even better, another guest blog opportunity sourced by your contact. And provide outstanding service to your guest-authored content. Keep these in mind when outlining a guest blogging process of your own.